This Husband & wife team really demonstrated their mission statement of “people at the centre” with their brilliant submission outlining every step they take, from the first meeting until the end of the Big Day. 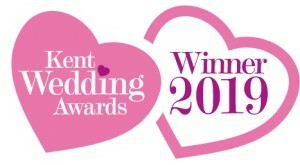 Judges described them as professional safe hands, allowing their couples to relax and enjoy their day without a worry in the world! 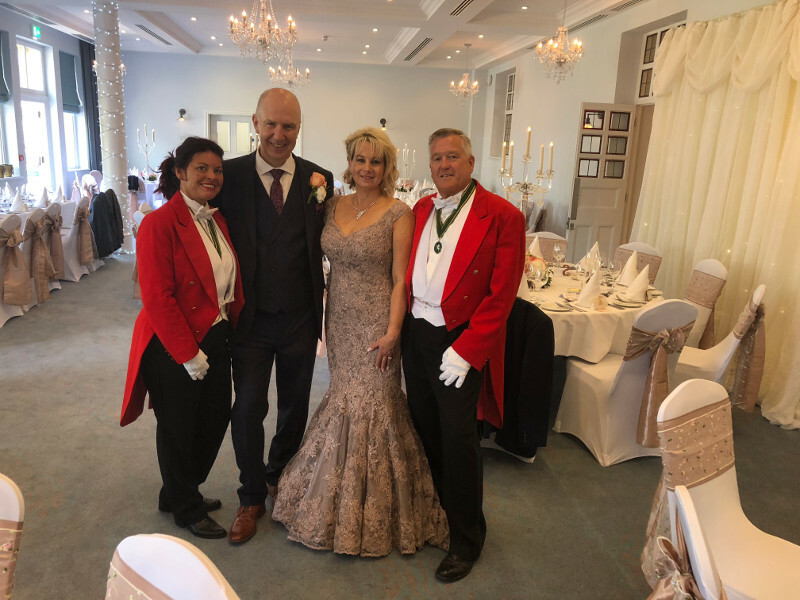 We couldn't have done it without them both, and the day ran so smoothly due to the fantastic service provided, they made our day so relaxed and i honestly felt so lucky to have found them. 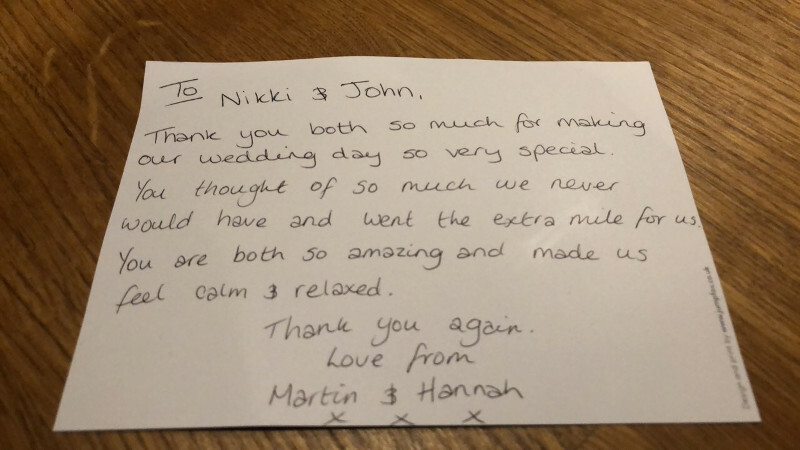 Every single guest commented on the day and after about how helpful both Jonathan and nikki were, from helping the children with an easter egg hunt, to making sure our great nan was comfortable all day. They had so many supplies with them that when my father in laws cufflink broke nikki had a spare pair on hand! I would say that booking 'your toastmasters' was easily the best decision we made throughout the whole wedding and i continue to recommend them to every soon to be married couple that i meet. The uniqueness of having a married couple help us on our wedding day was so lovely with thier one in a million service. Wow what an amazing wedding day for such a wonderful couple. 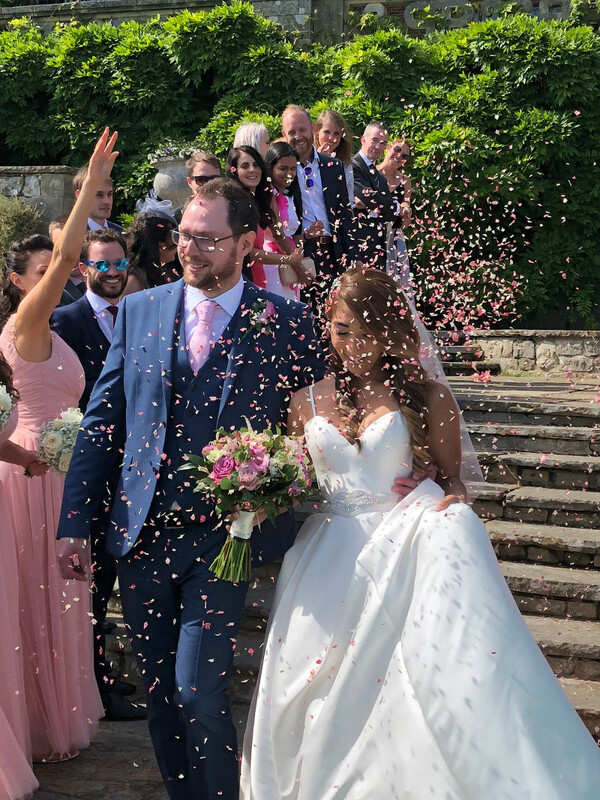 Our wedding was at The Yarrow Hotel in Broadstairs on 27th May 2018 and the largest one this venue had ever held with 120 guests attending the wedding breakfast. We thought that we would feel more reassured if we had Toast Masters in attendance and very luckily for us we found Jon and Nikki. From the minute they came to see us at our home their incredibly friendly and organised manor gave us the reassurance we needed and that so many of our worries and concerns would be taken care of. 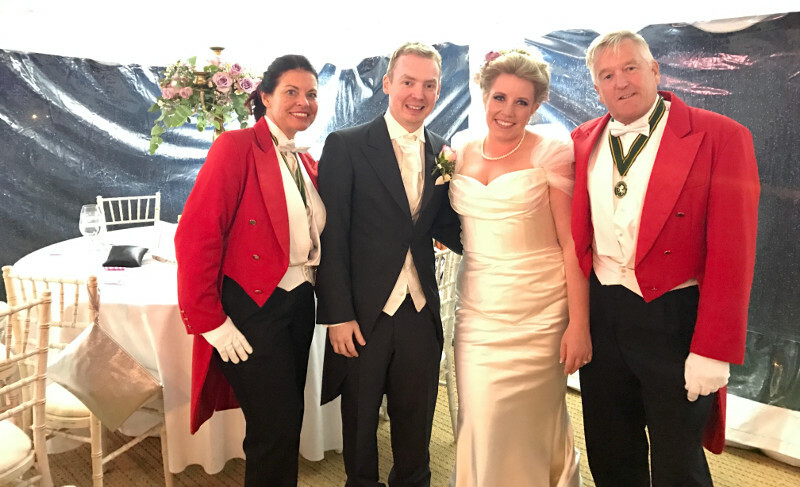 On the day of the wedding they were just superb with Jon looking splendid in his red jacket welcoming all the guests when they arrived. Jon was just the perfect gent helpIng people out of their cars with a welcome smile and just made the whole start to the day have that really upmarket feel. Organising the drinks at the reception to overseeing the musician, to ensuring every photo we had pre arranged was taken, everything ran like clockwork and nothing was missed. Jon and Nikki also recommended a fantastic DJ for us and a superb characaturist. Before we met Jon and Nikki I was under the impression that Toast Masters just simply announce you into the room and organise speeches etc. We were so wrong having now seen what Jon and Nikki do, how much pressure that take off you. We can honestly say that we don’t know how weddings run without them. 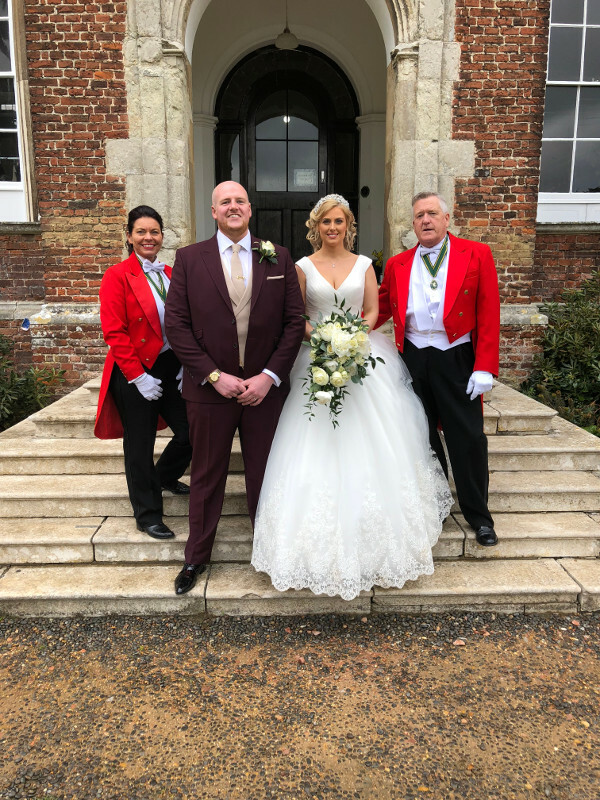 Everybody loved our wedding day the complements we have had have been amazing and we know we wouldn’t have had such a fantastic day without the help of our Toast Masters. Many thanks Jon and Nikki you were simply the best. Wow what a fantastically action packed day for Alex and Cher which included a traditional Chinese tea ceremony. Cher and I are of course delighted to sing your praises in our testimonial. We were so impressed with the way you helped us on our special day and in your extra effort to squeeze us in for our meeting when you were already fully booked in the height of peak season. 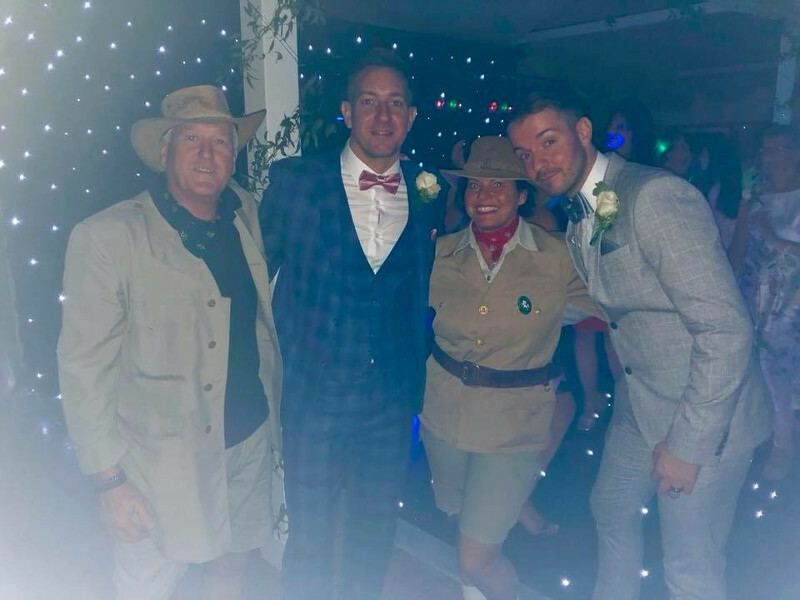 Such effort in going the extra mile was again evident throughout the whole wedding day when we could see how hard you both worked, not only in making our super packed day run so smoothly but also in making sure both our guests and ourselves were always so well looked after! Many guests have since commented on this to us personally. More even than that, we both noticed how much you seemed to take a personal interest, Jon for example you asking us more about our Chinese tea ceremony so you could better prepare and present your introduction and Nikki always by our side to not only make sure we didnt forget to eat and drink during the busy photoshoots but even taking and sending us your own shots! Believe me, some great ones here that are much appreciated in our long wait for the professional shots! 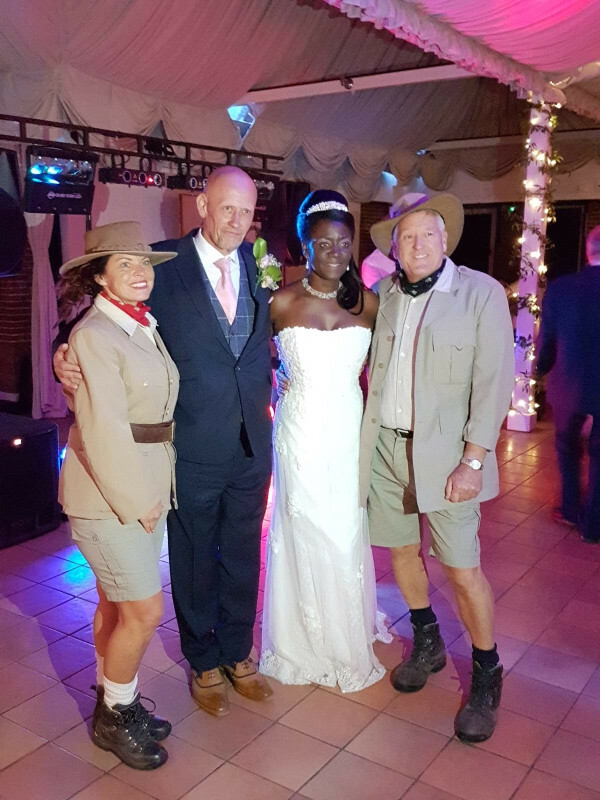 In conclusion, it is no surprise to us just how highly people speak of you but what impressed us even beyond the clear professionalism, in a wedding with alot of moving parts, was the personal touch. Cher and i cannot recommend you highly enough. 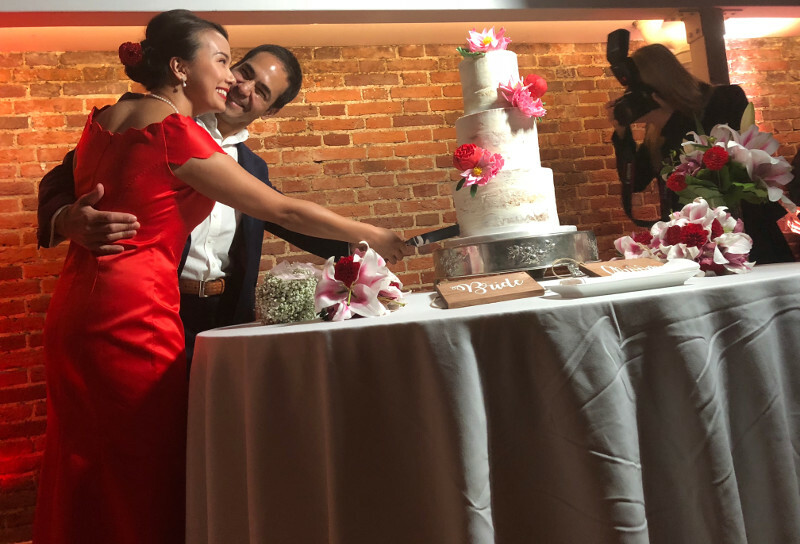 Many thanks for making our special day so perfect and so glad you were there! We were delighted to have been toastmasters for Mark & Lewis. A superb Wedding day. 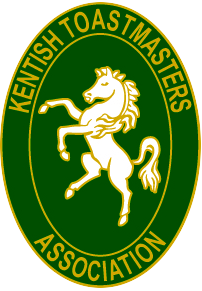 A special thanks to the toastmasters also who completely exceeded our expectations, they couldn't have done enough for us and our guests and again, all of our guests said to us how brilliant, friendly and helpful Jon and Nikki both were. I've left them a review on their Facebook page along with all the other suppliers that we used too. From the moment we met, John and Nikki put us at ease and assured us our wedding day would be perfect. How right they were, nothing was too much trouble. They were professional, efficient and friendly organising our guests with good humour and respect. Our friends and family thought they were wonderful and such good fun. They surpassed all our expectations and helped make our wedding day perfect. We recommend them without reservation and wish them every success in the future. John and Nikki have the winning formula! I honestly wouldn’t know what I would’ve done without her. I’ll always look back and remember how much of a great help her and Jon were. 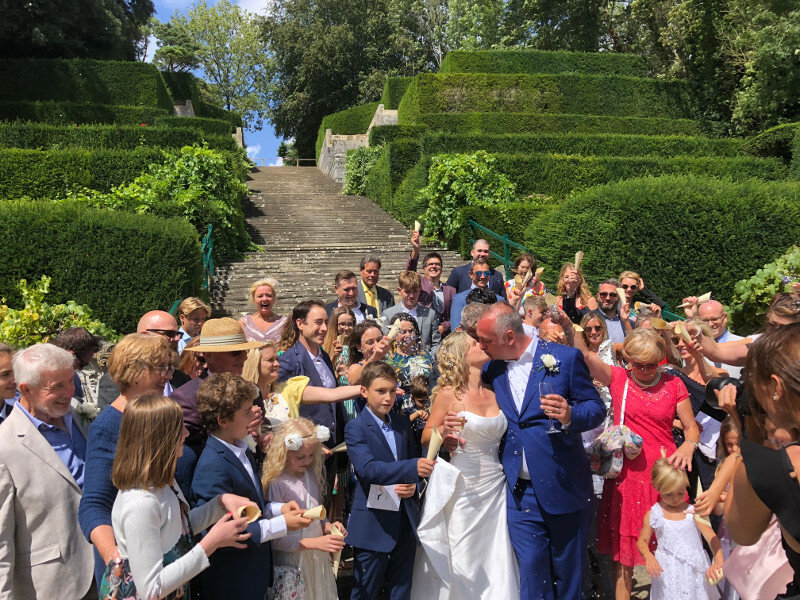 A beautiful family wedding for Charlotte and Tim at the unique venue of Port Lympne. 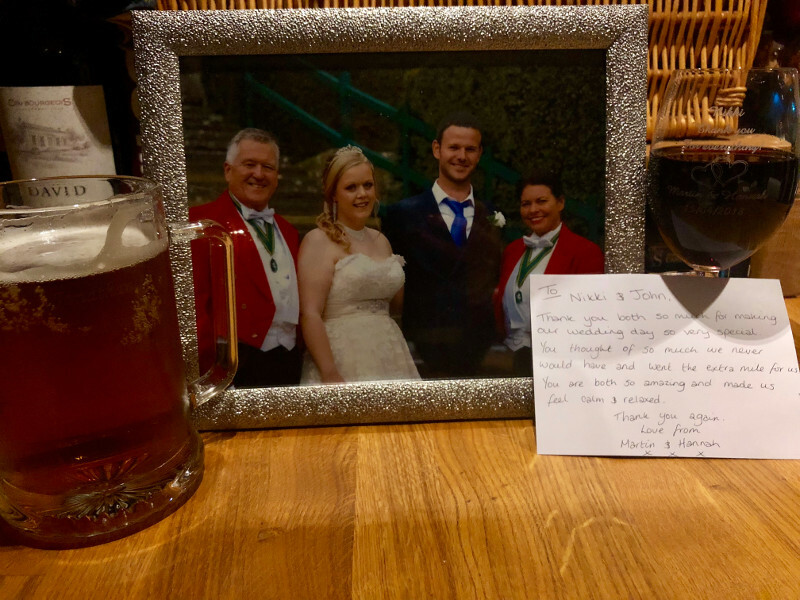 Just a little note to thank you both for being so wonderful on our wedding day. It ran so smoothly thanks to you both. It really was the most perfect day - so thank you both.